Israel’s African American community is fuming over an army judge’s ruling earlier this year that a young daughter of the community had taken her own life, either on purpose or by accident, and was not killed by a fellow Israeli soldier, as her family alleges. Nearly three years after 19-year-old Corporal Toveet Radcliffe died on an Israeli air force base from a gunshot wound to the head, Major Meir Vigiser ruled on January 18 that the investigation into the death of Toveet – the first African American to die while serving in the Israeli army – will not be reopened. Members of Israel’s small African Hebrew Israelite community – an African American religious sect numbering several thousand members who began migrating to Israel in the late 1960’s – are furious over the verdict, which determined that Radcliffe died by her own hand, confirming the cause of death listed in the army’s original report, issued exactly two years earlier to the day. In a 45-page decision delivered at the Bar-Lev Base near the central Israeli town of Kiryat Malachi, investigative judge Vigiser ruled it was “highly likely” that no other person was with Radcliffe when she was shot. Vigiser rejected alternative scenarios presented in court by experts testifying on behalf of the Radcliffe family, which posited that at least one other person must have been with Radcliffe at the moment of her death. Radcliffe was pronounced dead on 22 February 2015 at the Palmachim Air Force Base on Israel’s Mediterranean coastline, south of Tel Aviv. At the time, she had been on guard duty, sitting in a small booth inside the massive military base, securing a section of the base containing a battery of Patriot missiles that her unit had just been assigned to in the preceding weeks. She was found just after midnight, bleeding from a head wound by the soldier that was to replace her on duty, and was declared dead by an army doctor less than half an hour later. Family and friends of Toveet recall her as a fun-loving free spirit who wouldn’t hurt a fly and refuse to believe that she could have been capable of committing lethal violence against any living creature, least of all herself. About thirty members of the Hebrew Israeli community, all wearing white, sat in the courtroom for over an hour, listening as Judge Vigiser read out excepts of his decision. After his verdict was delivered, the Hebrews murmured to one another, crestfallen. While they verdict clearly disappointed Radcliffe family supporters, it did not shock them. “I am absolutely not surprised. I would have been surprised if they had done the right thing,” Shayarah Baht Yisrael remarked to the Dimona Dispatch. When Vigiser’s verdict was delivered on Thursday, Toveet’s parents and siblings were not in attendance, and were unavailable for comment. After submitting her own testimony to the judge, Toveet’s mother Khydijah Gray told the Dimona Dispatch that she would not return to attend any more court sessions, lacking any hope that it would reveal the truth about how her daughter died. Toveet’s close friends, who had spent countless hours laughing, painting, singing and dancing with Toveet growing up in the small southern town of Dimona were also conspicuously absent at the final court session. Frustrated over what they feel is a miscarriage of justice, they have resigned to mourning their slain sister privately, each in their own way. Discrepancies in the army’s account of her death disturbed Toveet’s family and friends from the start. The IDF’s official report on the death of Toveet was published only on January 18, 2016, nearly a year after she died. In it, military investigators determined that no other person had a hand in her demise. Unsatisfied with this result and convinced that she was murdered, Toveet’s extended community banded together to raise funds for a legal appeal, hoping to force the army to reinvestigate her death. Until recently, if an army investigation into the death of an Israeli soldier was found lacking, the case would be reevaluated by a civilian judge. But an Israeli law passed in December 2014 transferred jurisdiction in these cases over to military judges, and Radcliffe’s death is believed to be the first case that the new law applies to. Over a year after the army released its initial report, in March 2017, President of the Israeli Defense Forces Court of Appeals Major General Doron Feiles ordered a review of the case, conceding that the army had not definitely demonstrated that Radcliffe had committed suicide. More than this, he noted that the army had not even bothered to seriously consider any other possible explanation for the fatality. 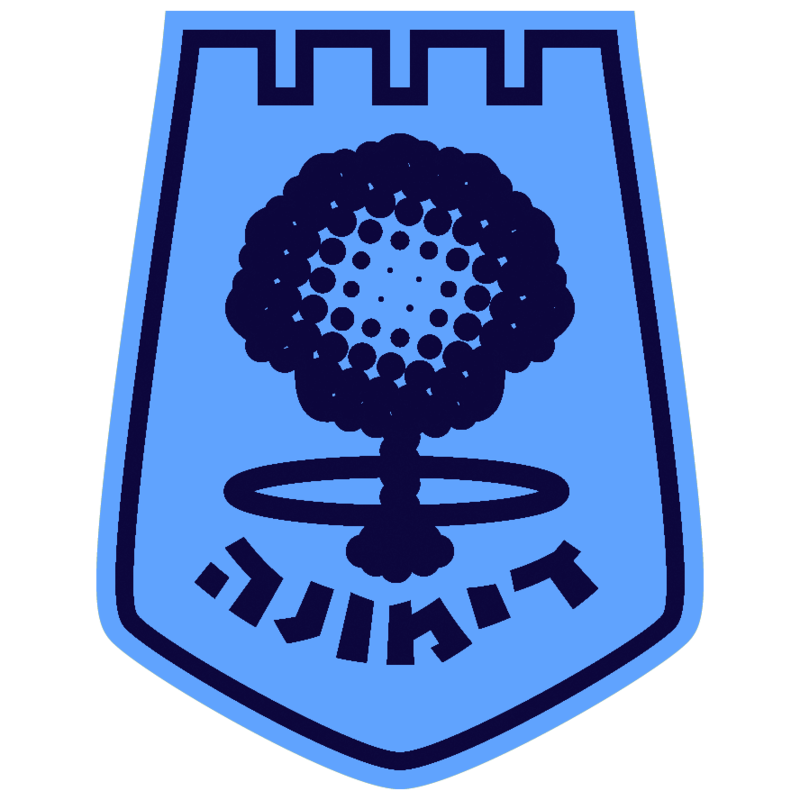 Appointed by Feiles to reinvestigate Toveet’s death, Major Meir Vigiser twice visited the scene of the incident at Palmachim AFB in the months that followed, and at the Bar-Lev Base, he heard court testimony from twenty-eight witnesses. While Vigiser ultimately concurred with the findings of the initial army investigation – that Toveet must have died by her own hand – in his verdict, he castigates those initial investigators for a long string of professional failures. Vigiser slammed the army for not conducting standard tests that could have provided evidence of foul play. He notes that the initial investigators did not test for fingerprints, trace metals, or gunpowder, and did not analyze the ballistics of Toveet’s gun, or the bullet later recovered from the scene. Vigiser also noted that investigators didn’t even bother to bring their mobile forensics lab to the scene, or to recover and examine footage from security cameras in that area of the Palmachim AFB. He further notes that physical evidence vital to the case was lost, and in the case of the gunstrap found wrapped around Toveet’s neck, was never even found. Vigiser leveled some of his harshest criticism at the initial investigators for their treatment of Toveet’s mother, Khydijah. In a recorded interview with army investigators two months after the incident, Khydijah recalled for them that Toveet had confided in her about another soldier that used to crank-call her, and had even threatened to kill her. Khydijah can be heard on the army recording sobbing and begging the investigators to try to find that soldier. As Vigiser notes, they never even tried to. But though Vigiser dresses down the army for carrying out a faulty investigation, and notes that their experts provided the court with erroneous information about Toveet and the circumstances surrounding her death, the judge still deems this testimony to be credible, even accepting it over the testimony of the outside expert who pointed out the army’s errors. When the army first sent for analysis the door of the security booth, which was also pierced by the bullet that killed Toveet, Superintendent Doron Avigdori measured the bullet’s trajectory and determined that it flew in the direction of up to down. When Avner Rosengarten, an outside expert hired by Toveet’s family, was finally allowed by the army to measure the hole in the door, he proved that the bullet had actually flown from down to up. The trajectory of the bullet that killed Toveet proved to be pivotal to the army’s case, as it determined whether it was likely, or even possible, for Toveet to have shot herself at that angle they say she did. In the end, though Rosengarten had measured right and Avigdori had measured wrong, Vigiser discounted Rosengarten’s explanation that the shooter had to be a person other than Toveet, and instead accepted Avigdori’s opinion that the shooter could in fact have been Toveet, and in all likelihood was. “In my opinion, the conjecture of the petitioners, according to which another person was present on the scene at the time of the shooting, is theoretical and far [from possible]. No evidence was presented which supports this possibility, and all the attempts to investigate evidence that could point to the involvement of another person on the scene were for naught,” Vigiser concludes. In order to determine how Toveet could have been shot in that small space – a tiny booth whose interior measured only three-and-a-half feet by four-and-a-half feet – Judge Vigiser relies on some testimonies, and rejects others. Ultimately, that is the job of every judge: to determine which of a case’s competing narratives is the most believable. But then, in order to determine how Toveet could have been shot in that small period of time, Vigiser goes on to do something rather strange. The judge constructs a timeline of his own invention to explain the case evidence, but this timeline seems to contradict the very testimony that it itself rests upon: that of the only solider who heard the fatal gunshot, First Sergeant S.
The most significant part of this section of the verdict, and perhaps of the entire verdict itself, is the army’s determination – for the first time, nearly three years after her death – the time that Toveet was supposedly shot: 11:35 PM. Noting that S observed an ambulance at the guard booth when he passed the booth for the second time on the tail end of his patrol, and noting that S specifies that the patrol took exactly 45 minutes, Judge Vigiser calculates backwards. He determines that S must have heard the shot that killed Toveet at about 11:35 PM, and must have began his patrol at 11:30 PM. Visigar’s assertion that the patrol began at 11:30 PM is, however, at odds with First Sergeant S’s actual testimony. On 14 April 2015, just a few weeks after Toveet’s death, First Sergeant S told army investigators that he started his patrol not at 11:30 PM, but rather, between 10:30 PM and 11:00 PM. Between these two accounts is a disparity of between thirty and sixty minutes. Moreover, in this initial testimony, S left no room for misunderstanding, repeatedly placing himself at the scene well before midnight – when the army claims that Toveet’s body was supposedly found for the first time. Under cross-examination by the Radcliffe Family’s lawyer Yafit Weisbuch, First Sergeant S is asked to explain why he now estimates that the patrol could have taken so long. “In forty-five minutes? You would have finished it in twenty minutes,” she prods him. In response, S explains that the patrol car drove “at between twelve and eighteen miles per hour” to complete the circuit, which was, in his words, “as far as I recall, four miles”. Oddly, this mathematical calculation is completely off. At eighteen miles per hour, S’s patrol of four miles would only have taken thirteen minutes. If the patrol had driven as slow as twelve miles per hour, it would have lasted a maximum of twenty minutes. Twenty minutes is less than half the claimed patrol duration of forty-five minutes, and Vigiser’s verdict never resolves this contradiction. But if we accept this declared duration of forty-five minutes, and recall that by his own initial reckoning just weeks after the incident, the latest that First Sergeant S could have set out on patrol was 11:00 PM, then the latest S could have returned on patrol and observed the ambulance at the scene was just before 11:45 PM. Fifteen minutes later, at midnight, when soldiers in Toveet’s unit say they first found her lifeless body, there was not an ambulance to be found in the area. Those soldiers who found Toveet dead then called an ambulance, and the ambulance that they called arrived on the scene fifteen minutes later, at fifteen minutes after midnight. How could the ambulance Sergeant S saw at the scene at least fifteen minutes before midnight – and possibly an hour before midnight – be the same ambulance that was summoned by the soldiers who found Toveet’s lifeless body which arrived fifteen minutes after midnight? Could it be that what S saw was a second ambulance? Or rather, a first ambulance? One ambulance before midnight and one ambulance afterwards? Army interviews with the ambulance medical staff that arrived onsite at around 12:15 AM do not corroborate Judge Vigiser’s theory that this ambulance was the same one that First Sergeant S saw at least half an hour earlier. In fact, the interviews would seem to disprove Vigisar’s hypothesis altogether. Within two hours of the incident, the ambulance team of 12:15 AM testified to investigators about the number of people they saw at the scene at the time of their arrival. Medic H told them: “When D, M and I arrived, there were soldiers and officers from the battery there.” Medic D told them: “When we got there, there were about seven people”. So according to the testimony of the medics themselves, when the three-person ambulance team arrived onsite, they increased the number of people around the security booth to about ten. But First Sergeant S specifically testified to seeing three soldiers at the scene, even recalling their respective ranks and genders. Moreover, in those same testimonies to army investigators within hours of the incident, the medics note that in short order after arriving on the scene, they remove Toveet’s lifeless body from the guard booth and lay it on a gurney. Photographs taken by army investigators called to the scene itself show that this gurney holding Toveet’s lifeless body stood just a few feet away from the guard booth. If this ambulance of 12:15 AM truly was the one that First Sergeant S saw at the guard booth upon returning from his patrol, then he would also have seen not only ten soldiers nearby, but also a gurney, and Toveet’s body lying on top of it. But First Sargeant S says that the ambulance he encountered had only three soldiers, and he makes no mention of any stretcher or body lying atop it. The original testimonies of the soldiers who found Toveet’s body just after midnight seem to indicate that the ambulance First Sergeant S interacted with at 11:45 PM at the latest could not possibly have been the same ambulance as the one that only arrived on the scene at 12:15 AM. Why was an ambulance on the scene before Toveet was found? If S encountered the ambulance and three soldiers at the guard booth before midnight, then they could not have been called there by the soldiers who found Toveet’s lifeless body – as those soldiers would only find her fifteen minutes later or more. So if Toveet’s body had not yet been found yet, then what was that ambulance doing there outside the security booth before midnight? Who called it, and for what purpose? What occurred there before First Sergeant S arrived, causing the ranking officer to respond to him “in a panic”? When the Palmachim AFB War Room told First Sargeant S that a soldier had committed suicide, and asked him to remain on duty until midnight, they were establishing that the time was not yet midnight, by their accounting. This is additional evidence that when S had passed by the ambulance at the guard booth minutes before, it had not been midnight at that point in time, either. What’s more, it also establishes that the Palmachim War Room already knew that a soldier had been killed, and was already calling that killing a suicide, before Toveet’s lifeless body was even discovered. How did the War Room know that Toveet was dead before anyone else knew it, before Toveet’s body was supposedly found for the first time? Does Judge Vigiser resolve the inconsistencies of S’s testimony? That an ambulance was on the scene before midnight, and that the War Room was aware Toveet was deceased before midnight, would suggest that the discovery of Toveet’s body inside the booth was a pre-planned event. If that was indeed the case, then the scene of the incident, and Toveet’s body itself, could very well have been manipulated after the fact, to make her death appear to be a suicide, even it was something else entirely. Did the army’s initial investigators into Toveet’s death purposely leave out of their report the troubling implications of First Sargeant S’s testimony, that elements in the army might be covering up her murder? Or did these investigators fail to understand these implications, because of the general negligence with which they conducted the case, and were correctly chided for in Judge Vigiser’s verdict? First Sergeant S’s testimony is absent from that brief report, so we cannot ascertain their reasons. But Judge Vigiser’s verdict includes – and squarely rests upon – the testimony of First Sergeant S. A detached reading of that 2017 testimony to the court would seem to indicate that S may have been under some pressure to revise his earlier estimates about the time that he began the patrol, and therefore, about the time that he encountered the ambulance. Specifically, S seems to have been under some pressure to push the start of the patrol further ahead in time. Back in March 2016, the Dimona Dispatch was able to track S down at his home in a suburb of Tel Aviv, and independently interview him about his recollections of that night. At that time, about a year after Toveet’s death, S recounted from memory a sequence of events that mirrored his initial 2015 testimony to army investigators. In it, he affirmed that his original estimate of the patrol start time, between 10:30 PM and 11:00 PM, remained accurate, to the best of his recollection. But when Limor Pinchasov, the producer of a June 2017 CSI-style investigation into Toveet’s death, approached First Sargeant S and asked him to recount the tragic incident, S refused to speak to her at all. And since that time, S hasn’t said a word about it to anyone outside of the Israeli army. But even if S never agrees to break his silence, his prior testimonies suggest that Toveet may very well have been murdered, and that her murder may very well have been covered up by army officials. Moreover, First Sergeant S’s testimonies also point to at least two groups of soldiers who may have colluded with this suspected cover up. The second group of suspects are the soldiers who operated the Palmachim War Room and who informed S over the radio of Toveet’s death, well before midnight. In his 2017 testimony, when asked who is in charge of monitoring the cameras in that area of the base – the same cameras that the initial army investigators never bothered to check – First Sergeant S answered: “The War Room”. As Judge Vigiser noted in his verdict, the Palmachim AFB War Room now claims that all of its documentation from that time period no longer exists. Did the army know Toveet died before it supposedly found her dead? The soldiers that S saw with the ambulance, and the soldiers that he spoke to from the War Room, both seem to have known that Toveet was dead before her body was found. Therefore, they must be considered suspects of colluding to cover-up the real circumstances of her death. But how should we interpret the decision by Judge Vigiser to establish an impossible timeline which would allow for the ambulance S encountered to be the same as the one that arrived at the booth at quarter-past-midnight? A timeline that would thereby eliminate the possibility that the soldiers S encountered could have helped cover up Toveet’s murder? If Vigiser was the initial army investigator, then perhaps his efforts to simplify the case narrative and eliminate any alternative possibilities could be attributed to general negligence, like that which he faults those original investigators for. But Vigiser was specifically appointed by the President of the Israeli Defense Forces Court of Appeals to conduct a thorough investigation into Toveet’s death this time around – one that would not leave any serious stone unturned. Given the serious nature of the duty he was charged with executing, it seems unlikely that Vigiser’s verdict, which attributed to S an impossible timeline, could possibly be the result of casual negligence. Taking all of this into consideration, Visiger’s verdict raises serious suspicion of judicial malfeasance. It remains unclear if the Hebrew Israelite community’s outrage over the Radcliffe case will result in any significant pushback against the army. During the community’s first quarter-century in the holy land, the Israeli government repeatedly attempted to outright expel them from the country, because their Old Testament religious practices differ significantly from state-sanctioned Orthodox Judaism. After decades of bitter struggle, the authorities finally relented and granted most community members legal residency in Israel. To this day, however, the vast majority of Hebrews do not hold Israeli citizenship, and attempting to acquire it has proven to be an uphill bureaucratic battle for many of them. Hebrew families become eligible to apply for citizenship after their children complete Israeli military service, and this may be one of the reasons that so many community youth, like Toveet, enlist in the army. There are also over a hundred Hebrew community members who were not grandfathered into the group’s agreements with the Israeli state. These black folks – who were born in Israel, and who have lived in the country for their entire lives – are denied basic services like public education and health care, because they have no legal status in the country altogether. Against the backdrop of these outstanding grievances against the government, could rage over the Radcliffe verdict be the straw that finally breaks the Hebrews’ backs, turning them back into dissidents? Older folks that can recall the hardships of the community’s first few difficult decades in the country might be reticent to take such risks. But their children and grandchildren, who were themselves born in Israel, might be a lot less likely to put up with what they perceive as state racism directed against their group. Judge Vigiser’s verdict now has many African Hebrew families fearing that their son or daughter could become the next Toveet Radcliffe, and get hurt or killed without explanation. The Hebrew leadership’s immediate response to the closure of the case channelled the anxieties of those parents into harsh words of recrimination against the Israeli army. The IDF investigates any case in which an IDF soldier dies under circumstances that are not operational. Following the death of Cpl. Toveet Radcliffe (RIP), a Military Police investigation was conducted to inquire into the circumstances of her death. A review of the findings of the investigation concluded that the evidence gathered did not point to the involvement of a third person in Cpl. Radcliffe’s death. The findings of the investigation were presented to Cpl. Radcliffe’s family, who was also granted access to the evidence gathered. Following a petition filed by the family, an investigating judge of the Military Tribunal was appointed to conduct an additional review of the matter. On January 18th, 2018, the investigating judge ruled that it is highly likely that Cpl. Radcliffe’s death was caused by self-inflicted shooting, without the involvement of a third person. The investigating judge found that it cannot be determined with certainty whether the self-inflicted shooting of Cpl. Radcliffe was deliberate or was caused by a mishandling in the operation of her weapon. The bottom line of the investigating judge’s ruling match the conclusion of the original review of the case, based on the findings of the Military Police investigation that was conducted soon after Cpl. Radcliffe’s death. The IDF extends its condolences to the bereaved family of Cpl. Radcliffe, and will continue to support it.